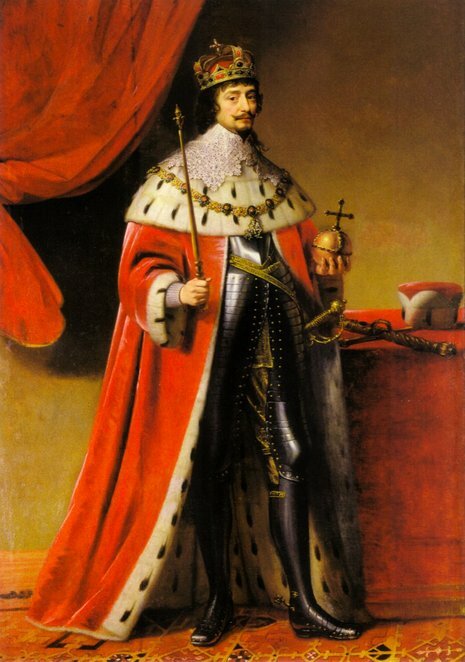 On September 19, 1618, Mansfeld's army reached the outskirts of the city. The defenders blocked two city gates and the third one was reinforced with additional guards. The Protestant army was too weak to start an all-out assault on the castle, so Mansfeld decided to take the city by hunger. 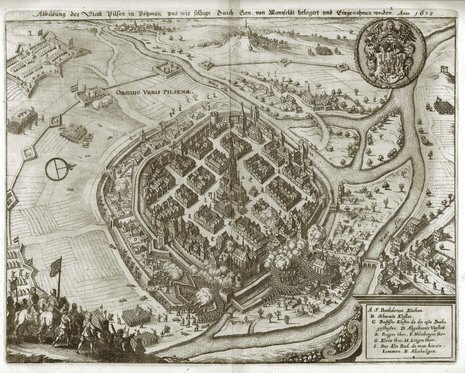 On October 2, the Protestant artillery arrived, but the calibre and number of the cannons was small and the bombardment of the city walls brought little effect. The siege continued, with the Protestants receiving new supplies and recruits on a daily basis, while the defenders lacked food and munitions. Also, the main city well was destroyed and the stores of potable water soon depleted. Finally, on November 21, cracks were made in the walls and the Protestant soldiers poured into the city. After several hours of close hand-to-hand combat, all of the town was in Mansfeld's hands.